You will get an error notice"your account has been locked" as shown below when trying to log in with flyvpn free account(username: flyvpn password:flyvpndota2) specailly for playing dota2. 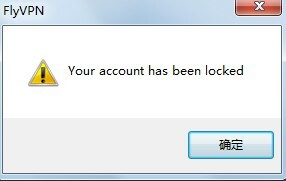 Yes, the account has been cancelled by flyvpn because Dota2 SEA servers has been recovered by Valve company. Nevertheless, you can still connect free singapore vpn by getting a flyvpn premium account.Just two steps can make it done. Second, commenting this post on flyvpn facebook page with suggestion on what you should or shouldn't do during the workplace. I am sure after having done the above two point, you can surely get flyvpn premium account for 1 month. No bandwidth limits. Moreover, the premium account contains 300+ ip in 17 countries including two free singapore vpn servers which can be connected for playing dota2 to lower the pings. From then on, you are one of the flyvpn members who can always get preferences. 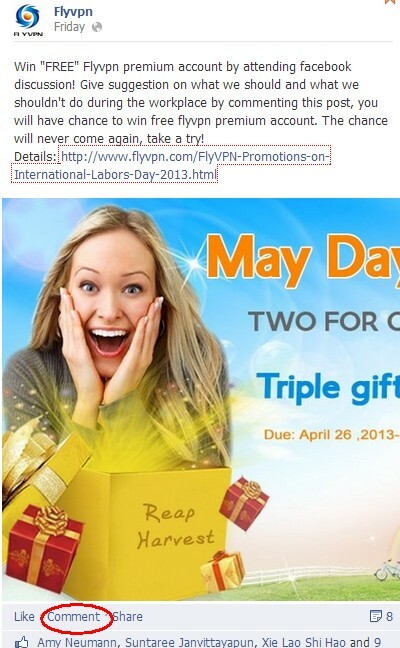 Why don't you cacthing the great chance to get free flyvpn premium account? It's easy for everyone, actions need right now because this giveaway will be expired on: May 5,2013.